I wasn't going to go to any of the cake shows this year, I really wasn't. We are still in the middle of decorating so I didn't really have the luxury of time, but the main thing was that I still haven't used half the stuff I bought at Cake International in 2012! However, I won two tickets to this year's Cake and Bake Show in London from Renshaw's Facebook, so it really would have been rude not to go! The tickets were valid for any day and since I was off all week decorating, I decided to use one of my holiday days to do something fun and go on the Friday - I also hoped it would be a lot less busy that day and I was probably right. I also managed to book myself in for two masterclasses, pastry with Eric Lanlard and cake sculpting with Mike McCarey of Mike's Amazing Cakes, who had come all the way over from Washington State, USA. I knew that there were also demonstrations you could watch on stage throughout the day so I assumed the masterclasses, which cost £8-£10 each, would involve actually doing something. So I was really disappointed when I found that in fact both masterclasses consisted of 50 people sitting in rows, watching a demonstration at the front. In one, I was half way back and couldn't see very well at all! Having said that I still learnt a lot from both those masterclasses, which I will go into more detail about later (Eric Lanlard is absolutely lovely, did you know that? And Mike is really talented at making 3D cakes). If you haven't been to the show before, here's what to expect: rows and rows of stands where you can buy products, from small businesses to big brands like Dr. Oetker and Renshaw. Some of them have mini demonstrations to watch and chatting to the stall holders is really interesting - I met some new people and some familiar faces. The layout is well organised in rows, and you can buy a programme but there are plenty of signs around telling you where the main areas - classrooms, stage etc - are and what time each session takes place. I took my own packed lunch as I knew the on-site cafe would be expensive (which it was), but unlike Cake International, which was almost entirely cake decorating supplies, this show covers baking so there were a lot of stalls selling food you could eat then and there- bread, sausage rolls, chocolate brownies, cupcakes etc. I took a rucksack for convenience and wore trainers for comfort as I knew I would be doing a lot of walking around! 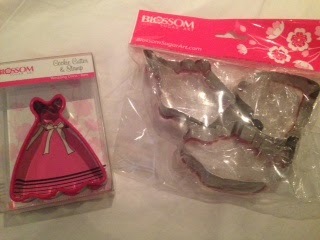 Blossom SugarArt, where I bought some cookie cutters I'm really excited to use. I think they are also the maker of this brilliant flower mould I used to decorate some wedding cupcakes last year. They had a few real bargains at the show; I bought this pack of three cookie cutters containing a teapot, teacup and cupcake shape for only £1. I also bought this pretty cookie cutter and stamp - it includes a cutter in the shape of a dress, which could be decorated either as a party dress or wedding dress, but also comes with a matching silicon stamp which you use to emboss a pattern on the dress. And this was also just £1! Talking Tables, who had some amazing party decorations and accessories. I was immediately grabbed by three cake stands which are all made of cardboard and fold flat for easy storage - a fish and chip stall, a sweet shop and this, which I couldn't resist buying - even though I probably won't be able to use it until next summer! I paid £15 for this at the show; they have them online for £16.50. Culpitt, a cake decorating specialist, from whose stall I bough a pack of 54 Christmas-themed cupcake cases, a pack of 45 gold foil cupcake cases and a pot of edible glue all at £1 each. Sugar and Crumbs, who make naturally flavoured icing sugars and cocoa powders. Some flavours are easy to add in to your baking - for instance, orange zest or a few drops of lemon juice or peppermint essence - but others are not so easy. For instance, if you mixed liquid caramel into buttercream, as I have done before, it ends up a bit runny. 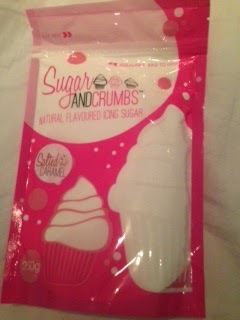 So I can't wait to try out this salted caramel flavoured icing sugar! I've heard of speculoos before but never tried it - it's a type of caramelised biscuit popular in Belgium and the Netherlands. 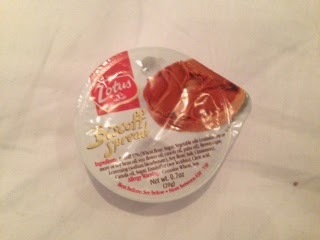 Lotus makes those little individually wrapped biscuits you get with a cup of coffee, but also now make Biscoff Spread - like speculoos, or a biscuity-version of Nutella that you can spread on toast or use in baking. I got a free sample at the show. For a long time now I've been looking for cupcake cases that look like little pots - I think they are called baking cups. 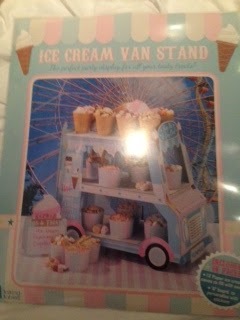 I found them on the Baker & Maker stand which specialises in unusual and vintage-style baking accessories. I bought two packs, brown stripe and red stripe, each £2.50 for 20. 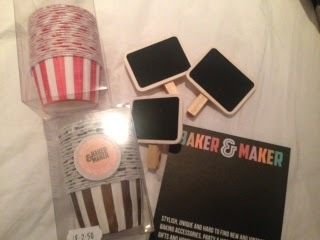 I also spotted these mini chalkboards on wooden pegs which would be perfect to attach to a cake stand or platter of sandwiches, and they were only £1 each. Though I realised later I don't actually have any chalk! 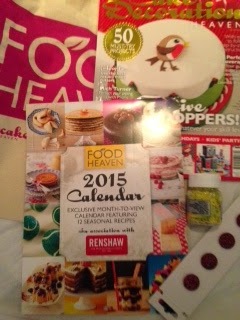 Food Heaven magazine - I thought long and hard about their magazine subscription offer as I would have got a free copy of the new Great British Bake Off book, but I already subscribe to magazines I don't have time to read and didn't want to carry the cook book around all day. Instead, I paid £3 for one of their goody bags and got a canvas tote bag, a copy of Cake Decoration Heaven magazine (worth £4.99 by itself), some fabric-covered buttons and a pot of yellow and green sprinkles. There was also a Renshaw calendar in the bag with a great recipe for each month; I thought initially I might give the calendar to my mum but now I think I want to keep it! I also spotted Luisa Zissman of The Apprentice fame manning her own Bakers Toolkit stand and signing copies of her book. She's very pretty and surprisingly petite in real life! I've written before about the time I met Ms Cupcake aka Mellissa Morgan, at a potluck event where I brought some cakes I had made from her book. She said it was the first time she had eaten cakes someone else had made from her recipe (other than the staff in her shop) and so I was quite nervous but she really liked them! Mellissa was at the Ms Cupcake stand at the Cake and Bake Show and recognised me; when I reminded her that I'd made the cakes from her book she actually remembered they were the mint choc chip ones which was really cool. I bought a salted caramel pecan cookie sandwich from her stall - which I forgot to photograph- and it tasted heavenly. One of the first stands I saw as I came in was Cake Decorating magazine's. They had a section showcasing their partwork magazine and the various freebies that come with each issue, had a man and a woman doing a live cake sculpture (which they said would take all three days of the show - when I visited you couldn't tell what it was going to be yet!) and best of all they were running a competition where you could be filmed making something to decorate a cake. 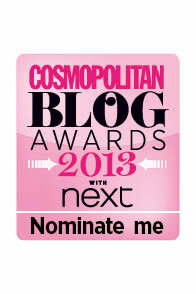 I'd arrived right at the beginning of the show so was the very first person to take part! I went up onto a podium and shown the cupboard of coloured fondant, plus some tools on the table in front of me. I wasn't filmed myself, as the camera was trained directly on the worktop, and projected live onto a big screen so passers by could see what I was making. I asked if the camera was recording sound as well and was told it was, so I decided to explain what I was doing as I went along. I could make anything I wanted but the obvious choice was something I had made before; I also didn't know how much time I would have so didn't want to make anything that would take ages, so I chose a sheep. I've explained in a previous post how to make a fondant sheep so I was able to do it from memory, though I was doing it quickly and also got very sticky from the fondant - I asked if they had any icing sugar to sprinkle on the worktop or my hands but they didn't. So my sheep wasn't exactly perfect - but he looked OK-ish. It's definitely harder to work when there is a camera filming you! It was really fun though and I enjoyed explaining what I was doing as I went along. Quite a few people stood and watched for a few minutes at a time and a couple came up to ask what I was doing, and how I was making it - I think they thought I actually worked for the company whose stand this was! I think I did a pretty good job selling the benefits of edible glue so perhaps I should have asked for a commission! Cake Boss had a large and busy stand - they were one of the main sponsors of the show. Buddy Valastro of Carlo's Bakery in New Jersey is the "Cake Boss" featured on a TV show of the same name. I've never actually seen it - but now we've moved into our new house we have Sky so I have more channels and there do seem to be a lot of baking shows out there! I didn't buy anything but my boyfriend's mum went to America recently and brought me back a Cake Boss-branded item. Dr. Oetker and Renshaw each had large stands; Dr. Oetker's had demonstrations and I think goody bags but by the time I got there they had run out. Renshaw was doing mini classes which I think were free but were obviously very popular with long queues so I didn't take part. The competition section is a big part of cake shows though I felt that this time there were fewer cakes on display than there had been at Cake International in 2012. 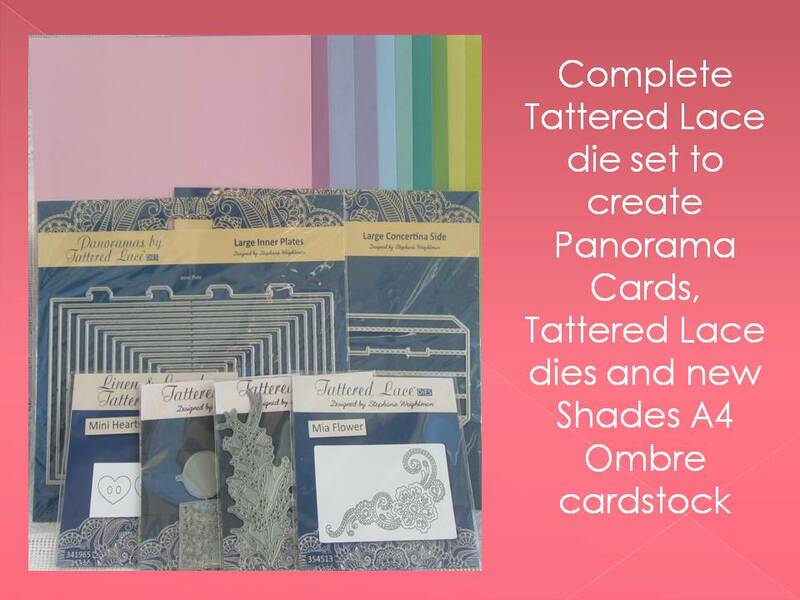 I had been very tempted to enter the amateur category but I only found out about it the day before the deadline and the theme was quite difficult - exotic adventures. Maybe next time! There were some amazing interpretations of the theme from some very talented cake decorators. This one is from the junior under 16 category! This one is from the amateur category - wow! Part of the display - I wasn't sure if this was actually cake or not?! There was a separate display of cakes which were very impressive; here are some of the ones I particularly liked. I had a really enjoyable but tiring day at the Cake and Bake Show - thanks again to Renshaw for the tickets. 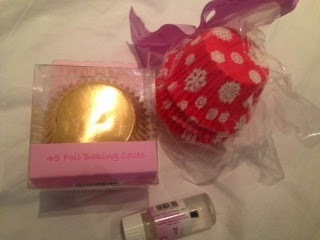 I didn't buy anywhere near as much as when I went to Cake International which is probably a good thing! As this post is long enough already I will write about the two masterclasses I took in more detail in another post. Looks like it was a worthwhile trip for you, nice to get a day off from decorating.